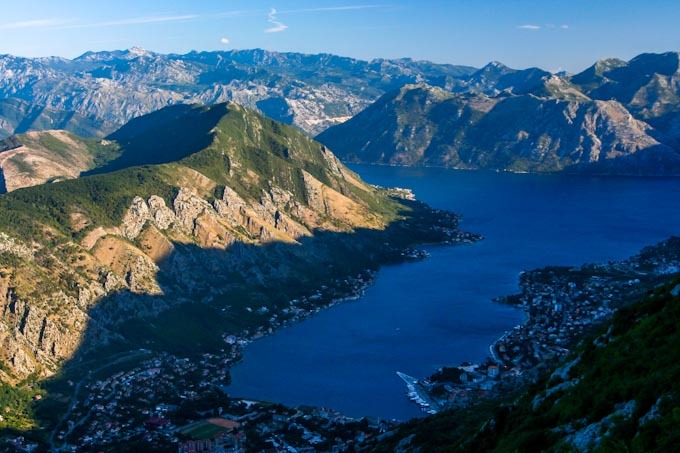 Being an ecological state offering exquisite natural conditions, Montenegro counts on the promotion of the tourist trade as another chance for development. In recent years, it has been found that Montenegro belongs to the fastest growing travel and tourism economies in the world. Evidence of this lofty status is plainly visible in the frenzy of construction along the country’s extraordinarily picturesque 300km of coastline. The country is starting to gain a status as a well known and respected holiday destination in Europe. Major well known hotel organizations are investing in accommodations and Montenegro is getting picked up by Europe ‘s biggest travel agencies and their travel brochures. When Montenegro is completely new for you and want to get a good impression of the country read our about Montenegro summary and explore the rest of discover-montenegro.com as this site is one of the internet largest Montenegro ‘s based resources. The country is known for its rich architectural and cultural heritage, diversity of landscapes and climates, and well preserved natural environment. Naturally well-suited for development of all kinds of tourism, Montenegro is focused on becoming an elite tourist destination. Montenegro is considered one of the fastest-growing tourist destinations. Almost all economic activities in Montenegro are directed towards facilitating the development of tourism. The Government aims to attract greenfield investments, which should make best use of undeveloped parts of the coast, such as Jaz Beach, Velika Plaža, Ada Bojana and Buljarica. Such investments could potentially reshape the appeal of Montenegro to tourists, making it a highly competitive destination for sustainable quality tourism. Montenegro can be presented as a destination offering a variety of attractions and all-year tourism is possible by publicizing its varied features. Therefore, the Tourism Masterplan of Montenegro is also paving the way for a national development program for nature based tourism, especially hiking and biking, with new infrastructure and services. The realization of a this program was started in 2007. The biggest problem of Montenegrin tourism is inadequate infrastructure, most notably the obsolete road network and difficulties with water and electricity supply in the coastal area. For that reason, a main investment of the government is building new roads and reconstruction of the current road infrastructure. The old Town of Herceg Novi. The old Town of Kotor, which is UNESCO’s World Heritage List. The Boka Kotorska, with the ancient small town of Perast. Porto Montenegro – Luxury Yacht Marina in Tivat. The old town of Budva, a well preserved old town. Sveti Stefan, a small island hamlet turned into a luxury hotel. The old town of Ulcinj with its prominent battlements and Cyclopean walls at Stari Grad Ulcinj, bustling nightlife and sea-side strand, and home of the Montenegro’s longest pristine beach, Velika Plaza. The old town of Bar, Montenegro with its “living museum” at Stari Bar. Ada Bojana at the very south of Montenegro’s coastline, with its famed daily fresh catch featured at the area’s seafood riverside restaurants, 16 kilometer from Ulcinj. The vast water body and wildlife reserve Skadarsko Jezero at Ulcinj’s Salt Flats, one of the largest nesting places on the European continent for migratory birds. The pebble beach and massive olive groves at Valdanos. Closest city Ulcinj. The beach, sea caves and pine resin in the air at Ulcinj’s Ladies Beach, that for generations locals have known promise cures for infertility and other ailments. The only deep water harbor and commercial port in Montenegro, at Bar. Beaches, fortresses and villages on Skadarsko Jezero. The town of Žabljak on the Durmitor mountain, the most popular mountain tourism destination in Montenegro. The town of Kolašin, another popular destination, near the Biogradska Gora national park, the Bjelasica. mountain and the ski-resort Bjelasica. The Tara River Gorge, the second-deepest canyon in the world. Tara river is a popular rafting destination. Biogradska Gora, with Biogradsko Lake, a national park and untouched virgin forest. The Durmitor national park with its many peaks and lakes. Ostrog monastery, a famous pilgrimage site. Archeological remains of Duklja from Roman times outside Podgorica. Cetinje, the historic capital of Montenegro. 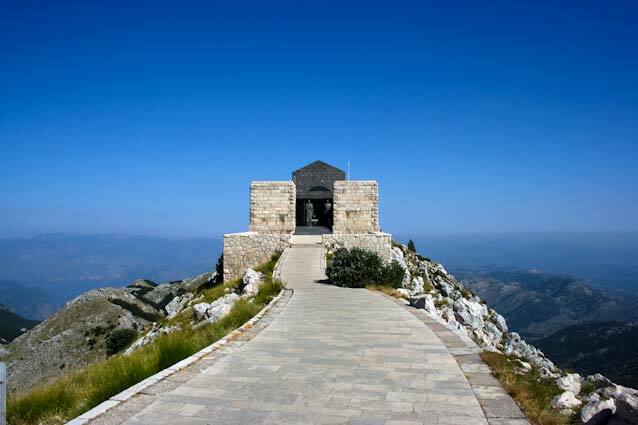 Mount Lovćen, the national park and Petar II Petrović-Njegoš’s Mausoleum afford breathtaking views of the surrounding country and the Boka Kotorska. The fishing village of Rijeka Crnojevica with its arch bridge over the same named river of Rijeka Crnojevica. The length of coastline of Montenegro is 293 km. It has 73 km of beaches, there are over 120 such beaches. There are varying beach styles from sand to pebbles of differing lengths. The coast-line of Ulcinj is 32 km long. It has more than 10 beaches. Ada Bojana is a river island. It is a triangle shape with sea from one side. The beach is sandy and long. Velika Plaza is the longest beach in Montenegro, one of the warmest and most beautiful beaches on the Adriatic Sea. It is 12 km long and it is covered with sand. It is very shallow. Small city beach is as same as Velika Plaza but it is not so long. Valdanos is little cove with pebbly beach and beautiful flora around it. Bar rivièra is 44 kilometer long and has got 9 kilometer of beaches. There are more than 20 beaches but Bar also has got 2 beaches on the lakeside. The most famous beach in Bar is Sutomore beach. It’s 1 kilometer long and is covered with sand. Canj beach is 1 km long and is a very popular location for tourists. The beach is covered with fine sand but the sea bottom is covered with round rocky pebbles. Kraljica Plaza is very near Canj but it can be only approached from sea. Crvena Plaza is specific because it is covered with read round pebbles and view from it is outstanding. Zukotrlica beach is over 1 kilometer long and it is near the city. It is covered with white pebbles and in the background is little beautiful pine forest. Beach Utjeha is also called “Olive Bay” because there are hundreds of olives in the background. It is covered with pebbles and is very clear. On the lake there are two beaches: Pjesacac and Murici. They are covered with pebbles. The view from there on the Skadarsko Jezero is amazing. 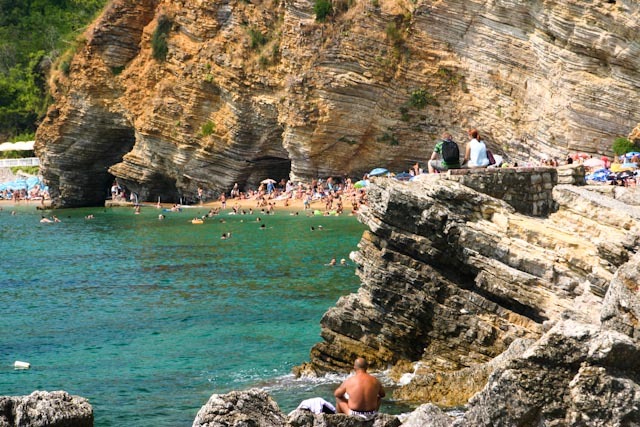 Budva rivièra has over 25 beaches and they are favorite destination for tourists in Montenegro. The longest beach is Jaz. It’s 2.5 kilometer long and is sandy. has specific small pebbles. It consist two little beaches and they are connected with a tunnel. Slovenska beach is 1.5 kilometer long and is covered with sand. There are lot of hotels, restaurants and parks in the background. The Becici beach is long and one of the most beautiful in the Mediterranean, it is sandy. Milocer beach, Kraljica Plaza and Sveti Stefan beach are the most exclusive beaches in Montenegro because of fantastic sand, flora and amazing view on isle-hotel Sveti Stefan. Petrovac beach is quiet long and is covered with little red pebbles. Special attraction there are two little isles and little fortress near beach. Buljarica beach is covered with sand and is 2 km long. There are over 15 small beaches in Tivat. Opatovo is a 200m long pebble beach. Little lighthouse divides beach in two parts. Beach Plavi Horizonti is perhaps the most famous and beautiful in Tivat. It is 300m long and covered with small white pebbles. There are two islands near Tivat: The ssland of St. Marko and Island of Flowers. They have very nice and attractive beaches. This is the deepest part of Boka Kotorska so there are fewer beaches. There are about 10 small beaches. Morinj beach is very nice pebbly beach with beautiful background and view on bay. Risan beach is a quiet, long and rocky beach. Orahovac is the favourite beach in Kotor. It is pebbly with old stone houses in the background. 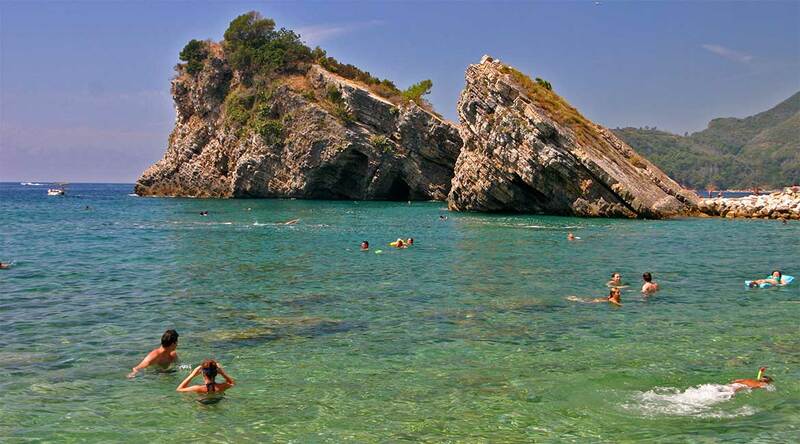 Trsteno is one of the most beautiful pebbly beach in Montenegro. It is 200m long with clear water and natural background. Herceg Novi rivièra is 25 kilometer long and it has over 20 beaches. Igalo beach is 1.5 kilometer long and sandy. Rose beach is rocky with very nice forest background. Zanjic beach is one of the most beautiful in Herceg Novi municipality. It is 300 meter long and it is covered with white pebbles. Biogradska Gora is established in 1952. One of the unique features of the park is its virgin forest, with trees over five hundred years old. In the very heart of Biogradska’s virgin forest is Biogradska Jezero, the largest glacier lake in this national park. The Durmitor national park, created in 1952, includes the massif of Durmitor, the canyons of Tara, Sušica and Draga rivers and the higher part of the canyon plateau Komarnica, covering the area of 390 km². Lovćen park is established in 1952. The national park encompasses the central and the highest part of Lovćen mountain massif and covers an area of 62.20 km². Besides Lovćen‘s natural beauties, the national park was established to protect rich historical, cultural and architectural heritage of the area. Skadarsko jezero is the biggest national park in Montenegro and is established in 1983. It is one of the largest bird reserves in Europe, having 270 bird species, among which are some of the last pelicans in Europe, and thus popular with birders. There are a lot of islands, monasteries and fortresses in the park. Prokletije established in 2009 is the youngest national park in Montenegro. It’s located in Plav municipality and includes montenegrin part of the Prokletije mountain range, Plav valley and Plavsko Jezero lake. Furthermore, it has many wild impressive high peaks over 2000 meters. It also features many rivers and lakes. 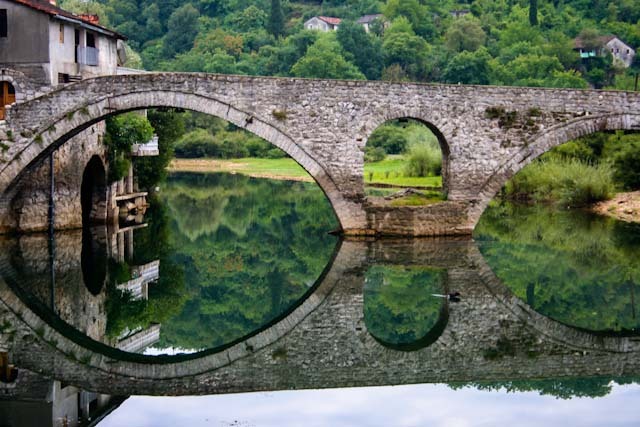 Montenegro harbours three Unesco World heritage sites, the Natural and Culturo-Historical Region of Kotor enlisted in 1979, and the Durmitor region enlisted in 1980. The last are the Stećci medieval tombstones cemeteries. This serial property combines 28 sites, located in Bosnia and Herzegovina, western Serbia, western Montenegro and central and southern Croatia, representing these cemeteries and regionally distinctive medieval tombstones, or Stećci. On the tentative list are Cetinje historic core, Duklja, Old town of Bar , Biogradska Gora national park.